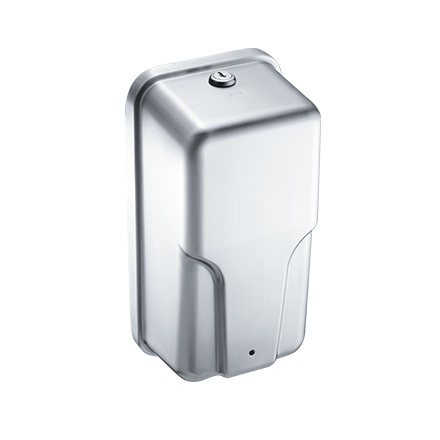 Hands-free soap dispenser powered by 6 AA-size batteries (not included). Dispensing cycles adjustable with tamper-proof magnetic key. Seamless drawn type 304 stainless steel cover. Translucent removable internal tank for easy-to-view level. LED indicates adjustment and operation. Capacity: 34 oz. (1 L).